Services we offer include: complete rewiring of an apartment, plastering and painting the walls and ceilings, disposal of old floors, furniture, wallpapers, rebuilding walls (drywall), and also complete plumbing and tiling services. 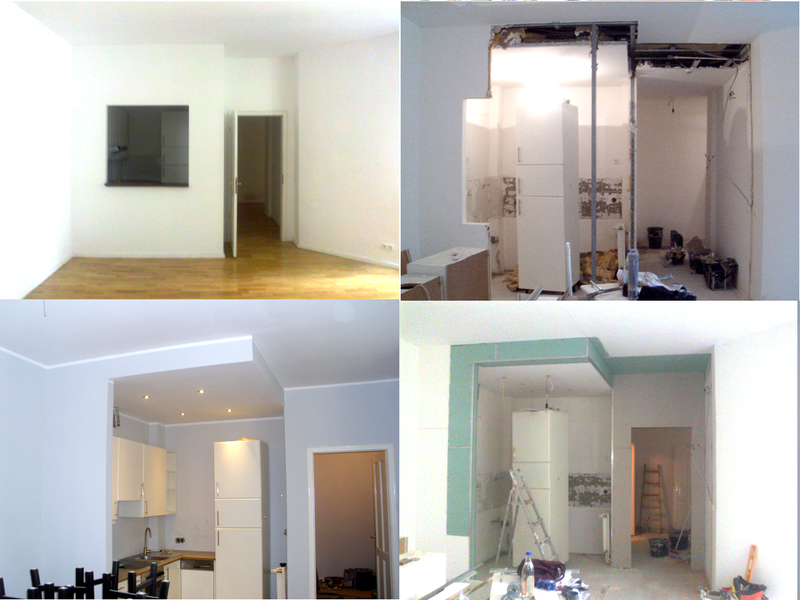 For an estimate of costs of renovating a flat call me. Possible quoting just from pictures and description !